Secret Superstar is 2017 new Bollywood film, which features Aamir Khan in supporting roles and Zaira Wasim in a lead role. 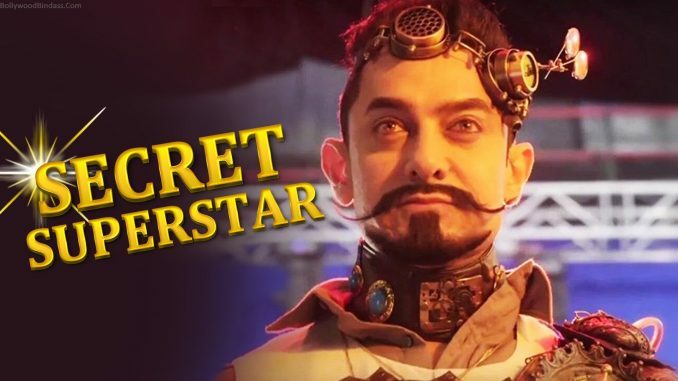 The movie is Directed by Advait Chandan and Produced by Aamir Khan, Kiran Rao and Akash chawala. It is made under the banner of Zee Studios and Aamir Khan Production. The film is scheduled to release on Diwali 2017. Story: Movie story is based on a girl named "Insiya", who desire to be a good singer. 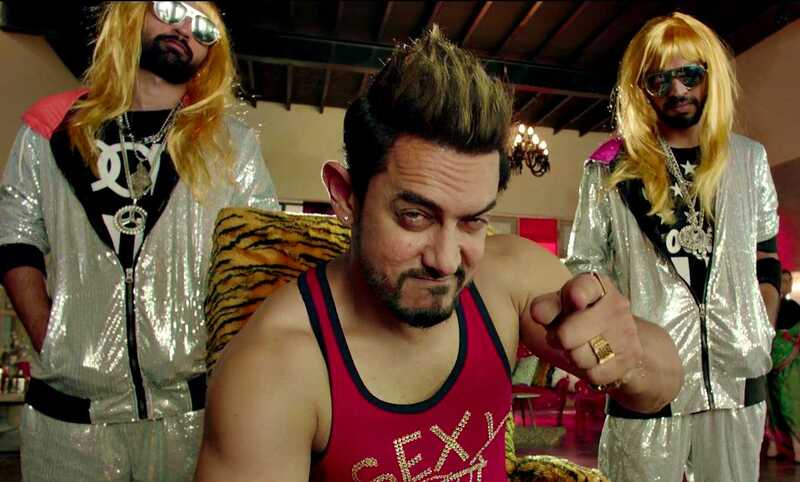 Aamir khan will be seen as Shakti Kumar. Aamir Khan last movie Dangal has done an awesome box office collection. Now the maker has expecting a good benifit from this movie. Star Cast: Aamir Khan will appear in totally different look in the movie, while Zaira looking so sweet. After watching the trailer video we can say the movie would be entertaining. Release Date: the movie is going to release on Diwali 2017. Final release date is 19th Oct, 2017. 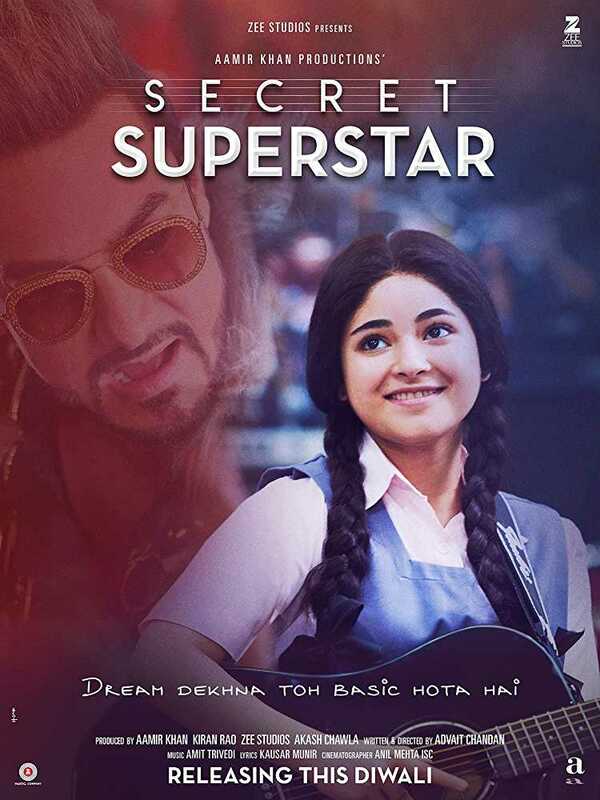 Songs: Amit Trivedi has composed the music of this movie while the lyrics are written by Kausar Munir. Images: here you can find some working still and poster. 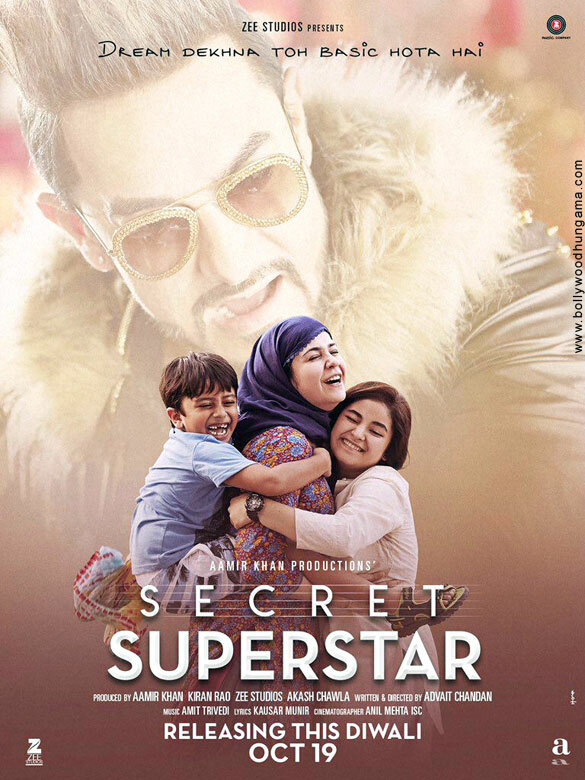 Aamir and his team members are looking wonderful in the movie. I will try to update more images.